First Automobile Works (FAW) - Chinese state-owned carmaker. FAW - Old Chinese carmaker. China's first car factory, established with the assistance of the Soviet Union, started in Changchun in 1953. Checkpoint is identical to the plant entrance ZIL. Staff was an intern in the USSR. Then, the company produced a single truck model Jiefang ( 'Liberation') - a copy of the Soviet Truck ZIS-150. 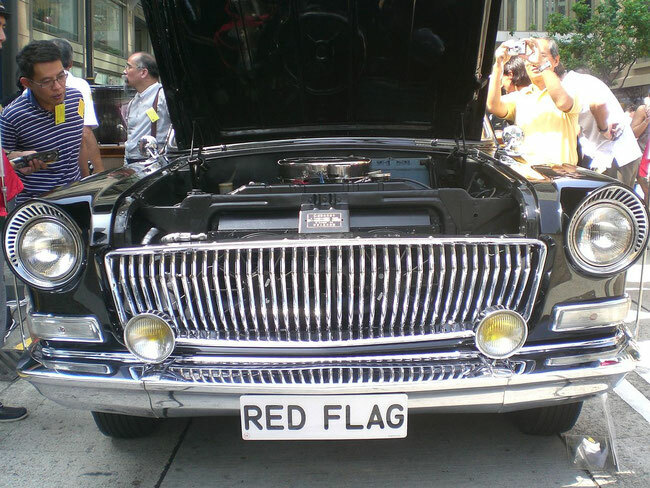 In 1959 there was a government limousine Hongqi ( "Red Flag"), manufactured in small quantities until 1989. On August 1, 1989 issued sedan Audi-100, originally under the name Hongqi. The factory became the basis for the automotive cluster of Jilin Province. By early 2006, there were 22 companies in the province, producing motor vehicles. In Changchun City and the surrounding areas a growing number of factories of manufacturers of components for cars. Among them: Brose, Faurecia, Siemens VDO Automotive, Thyssen Krupp Automotive, TRW, Valeo and ZF Lemförder. Automobile industry dominates the industrial structure of Jilin Province, and it accounts for over 50% of the region's economy. In December 2010, we completed the construction of a new plant, built jointly with the GM's, in the city of Changchun. The plant's capacity can be increased to 80 thousand. Up to 200 ths. Cars a year. Subsidiaries, offices and distributors FAW Group are located in more than 80 countries and regions, including Russia, Ukraine, Kazakhstan. 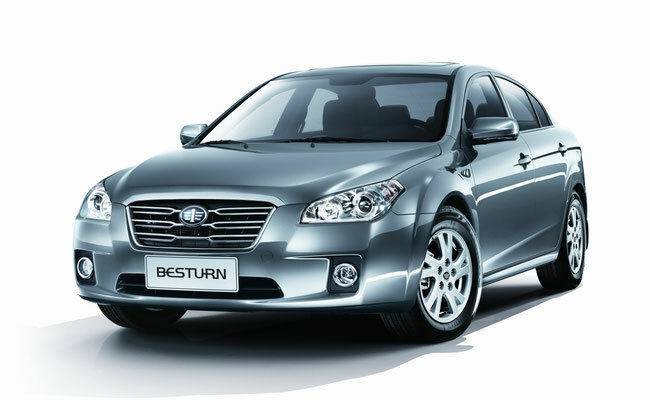 In May 2011, he began working factory in Harbin, built jointly with GM. The plant's capacity is 100 thousand light trucks a year. At present, FAW produces cars 6 categories, including trucks, small, medium and heavy-duty, off-road vehicles, passenger cars, buses, compact cars. According to vehicle production volumes FAW ranks second in China after Shanghai Automotive Industry Corporation (SAIC). In 2008, FAW sold 1.53 million automobiles worth a total of 218.4 billion yuan (about $ 32.1 billion). FAW assets is estimated at 102.4 billion yuan in 2007 (about $ 12.4 billion), the company's staff amounted to 132.4 thousand. People. FAW Group has established three major industrial base in northeast China, Tszyaodun peninsula in Shandong Province, and the Technology Center of innovative ideas and developments. In 2006, FAW Corporation ranked 470 th in the ranking of the 500 largest global Fortune 500 companies, as well as the 1st place in the ranking of the 500 largest Chinese industrial enterprises in 2008. FAW owns 27 subsidiaries and 20 more companies FAW owns a controlling stake. FAW created a joint venture to produce cars for the Chinese and global market with Volkswagen, Toyota, Ford and Mazda and others. Joint venture with GM was created in August 2009. In 2005, Russia has sold 433 light truck FAW, which amounted to 4.2% of the market of foreign cars carrying capacity up to 3.5 tonnes. A joint venture with the Russian company "Irito" for the assembly of trucks in Gzhel. In the summer of 2006 it began assembling SUVs and pickup trucks FAW in Biysk. C 2007 is also conducted the assembly truck. In November 2007, CJSC "Automobiles and Motors of the Urals" (ZAO "AMUR", Sverdlovsk region) started the assembly of 10 and 20-tonnage trucks. Trucks manufactured "AMOUR" under the brand name. In 2008 it is planned to increase production to 1,000-2,000 trucks per year. The joint venture Sichuan FAW Toyota Motor in December 2005 start of production of Toyota Prius. At the first stage it was planned to sell 3 thousand. Units per year. Prius in China is sold at a price of $ 40 thousand., Which is almost 2 times more expensive than in the US. FAW acquired from Toyota mild hybrid license. 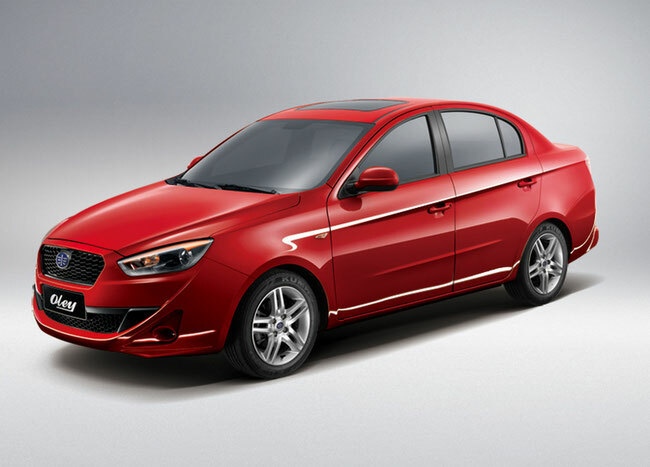 This technology has developed a sedan FAW Hongqi. FAW began production of hybrid buses Jiefang with a parallel hybrid system technology company Enova autumn 2005. Jiefang hybrid bus consumes fuel at 38% less than a conventional bus. Emissions are reduced by 30%. On the bus set of nickel-metal hydride batteries. FAW planned to produce 1,000 hybrid buses by 2010 for the 2008 Olympics in Beijing and Expo 2010 in Shanghai. The First Automotive Works company structure includes FAW Bus and Coach, at its two factories producing intercity and tourist model with its own chassis and engines (ranging from 150 to 241 liters. P.). Buses are available in different lengths: 8.6 m, 10.4 m, 11.4 m, with the number of seats from 26 to 51. FAW DK 61011 - long distance, length of 11.4 meters and 48 seats. FAW CA 6860 - long distance, length of 8.6 meters, seating between 26 and 34. The bus weight of 10 tons, 6-liter engine (190 hp..).